I've been a little quiet lately - sorry about that. I'm sad to say, I lost my Pap. And that made my world stop. He was one of the most amazing, fun-loving, kind, funny and happy people, plus he was the greatest Pap in the entire world. 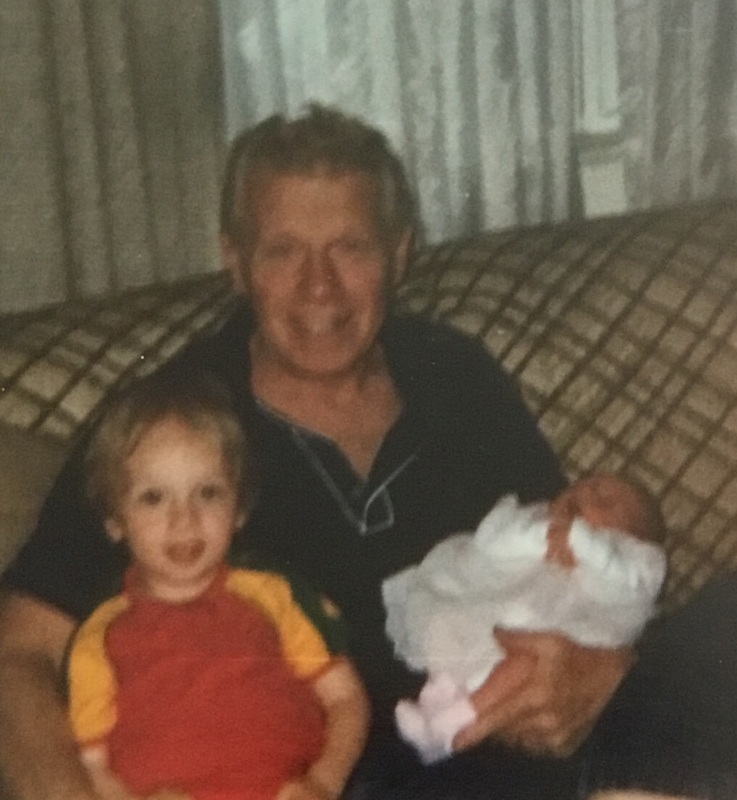 He had been battling with dementia and Alzheimer’s the last several years, and I could tell it was getting worse as I spoke with him in the last few weeks. Then, his health took a sudden down turn. I debated if I wanted to go up to Pittsburgh and see him, because in my mind, he’s always been this big, strong man. I didn’t know if my heart could take seeing him in decline. But, I woke up Sunday and was doing some things around the house and felt the urge to get up there. So, I loaded up and made the 8 ½ hour drive to my Pap. I’m so glad I went. I told him that I loved him and that it was OK to go. I got to be by his side and prayed with him as he passed. I will never be the same. My Pap. What a guy. He was the kind of Pap that joked with his grandkids. He loved us unconditionally. So, I wanted to share some of my fondest memories with one of my favorite people in the whole world. 1) When we (my brother and I) would spend the night at Gram and Pap’s, we always wanted to go swimming with him in the morning, but we never wanted to get up that early (he liked to go around 7am). A few times, we did though and the memories of swimming and laughing with Pap at the Marriott pool will be cherished. I can't swim without thinking of my Pap. 2) When I was younger, Gram and Pap usually got a real Christmas tree in their living room. I remember going with them one year (I was probably 10 or 11) and they let me pick the tree. We got home and got it set up, and it was soooo wide. Pap teased me all the time that I pick out the fattest trees. He would tell me that it kept getting fatter/wider every day!! Then he said I wasn’t allowed to go pick out a tree again! Oh, he was so funny! 3) When all us grandkids were smaller, we would take turns sitting on Pap’s lap, and he’d bounce us and sing “Pony Boy, Pony Boy. Won’t you be my Pony Boy? Giddy up, Giddy up, Giddy up! Whoa!! My pony boy! !” And we’d slide down on "Whoa" and he’d pull us back up for “My Pony Boy”. Loved that! Don't know how we didn't blow out his knees. Now I continue the tradition with my nephew and niece. 5) Gram and Pap had a Grandfather clock in their living room. The chime still rings in my mind and I can hum it in a heartbeat (so can my brother, cause we did!). I remember watching Pap as he carefully put on the white gloves and would pull up the weights to keep it working. For some reason, it always amazed me, and I liked watching him take care of it. When Pap moved out of his house to the care center, I was able to get Pap's clock! It makes me so happy when I see it and now I have a piece of Pap forever ticking in my home. 6) I tried to call Pap every week, but we all know life gets away from us, so sometimes it was a little longer in between calls. But, I cherished our talks. He always asked what was "new and exciting". Usually I didn't have much to report, but he asked anyway. And we talked about the weather! LOL How's the weather down there, kid? I'll sure miss talking about the weather with my Pap. Words can't describe how much I will miss him. I love you, Pap! I can't wait to see you again! Catching up on the CrAzInEsS ! !